It's probably the biggest issue for many people when buying a new car - what's the fuel economy like? It's also become a very contentious topic, which is hardly surprising when the official fuel economy figures - that are stated by manufacturers alongside their shiny new cars - are pretty much impossible to achieve in every day driving. So here we've listed the 25 cars with the best official economy, a figure that's calculated by running them on the specific EU combined cycle test. Bear in mind that the test is strict and specific, so many of these figures look very different in real world driving. To see how cars perform in real world driving, and to share your fuel economy, visit the Real MPG section. If there are several particularly efficient models in a range we’ve only listed the most efficient model, so doesn’t cover seven or eight examples of the same car with very slightly different fuel economy figures. Additionally we’ve omitted pure electric cars like the Nissan Leaf and Renault Zoe. That amazing fuel economy figure of more than 200mpg sounds almost unbelievable. And that's because it is. 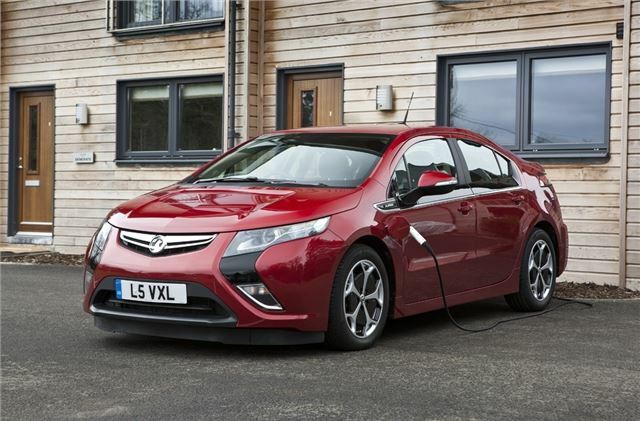 The Ampera is a range extended car which means it runs on an electric motor but once the batteries run out of juice, a combustion engine kicks in. However, the engine doesn't directly power the car. Instead it acts as a generator for the electric motor. The result is a car that can effectively use no fuel at all if it’s kept topped up from the mains. So for the official economy tests it performs incredibly well. However, in everyday driving you won't be seeing anywhere near 235mpg. Plus of course you have to take into account the cost of charging the batteries in the car.